Our company consists of 14 (and growing to 35 by the end of 2019) full time USA-based remote employees who work from home. We believe that the best Engineers tend to be polyglots with a wide variety of programming language experience. We don’t hire for specific programming language skills, but rather look for engineers who are fluent in several programming languages. We want our staff to be adaptable and ready to evolve to what’s next. We believe that open-source only works if companies give back. 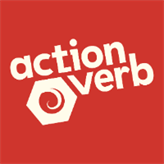 If you work on any open-source projects during the course of your work at Action Verb, you are encouraged to submit your improvements as a pull request back to the upstream project. And if you build something from scratch while working here that’s generic and not related to our core products, we want you to release that on GitHub too. We’ll also pay your travel costs to any conference where you can get a speaking gig. Fully Remote Company! Work From Home, or Anywhere in the USA.